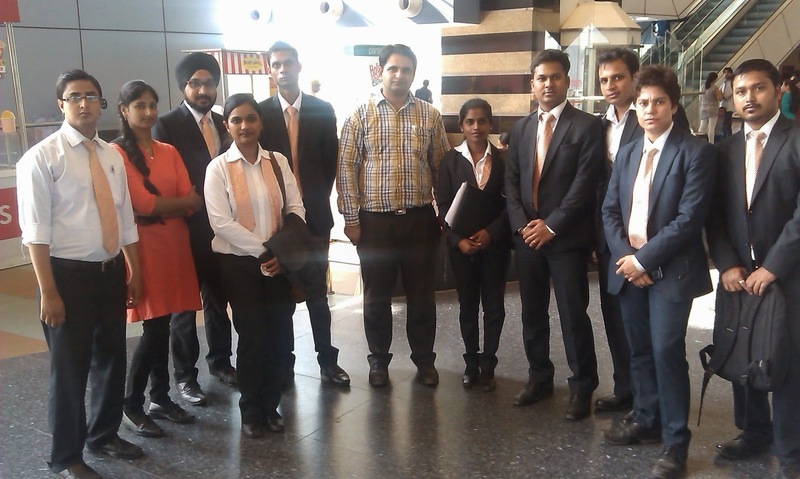 On 26th May’2014 students pursuing Infrastructure Management visited Cross River Mall which is spread across 12,300 sq. The agenda of the visit was exposure to retail operations and various functions. Mr. Ravi, Housekeeping Supervisor at the Cross River Mall took the students for a round around the mall explaining the spread of business and various categories. Following this Mr. Neeraj, Assistant Manager for Facility Management explained the services rendered by their team and helped students get an insight about the operations and management of the Cross River Mall. The approximate footfall at the Cross River Mall on weekdays is 4000 people and it goes up to 10,000 on weekends. Facility Management Services includes Security, Parking, Housekeeping and Maintenance were also discussed. · Major Revenue is generating from Common area maintenances, parking, Electricity. · Feedback survey form issued to all stores once in a month. · Best practices: quick response in sorting out the issues mentioned. · Compared to other malls Cross river mall have high number of beauty salons, 10nos. · Mall has 11 emergency and 2 fire exits. · Dedicated team for supporting functions. · Huge parking space attracts customers.